For millennia, the preferred place to park your posterior has been a chair. But this is The Future, people! We don’t have flying cars, but we can do better than a rusty faux leather swivel chair. In all seriousness, there are a lot of new options for your office desk chair that you might want to consider. Standing desks are great (especially if they’re adjustable on the fly), and foot mats and wobble boards can extend even that ergonomic potential. But if you’re not interested in shifting to a full standing desk, your body will thank you for updating the thing that supports it for several hours of every workday. There are plenty of excellent desk chairs out there, certainly, but these alternatives can help mix things up to improve your posture, avoid repetitive stress injuries, or even get a little exercise while you’re on the job. They’re a cliché for a reason. Oversized exercise or medicine balls have become a popular alternative to a standard desk chair. And while sitting on what’s essentially a giant plastic balloon looks a little goofy, it has some serious benefits. 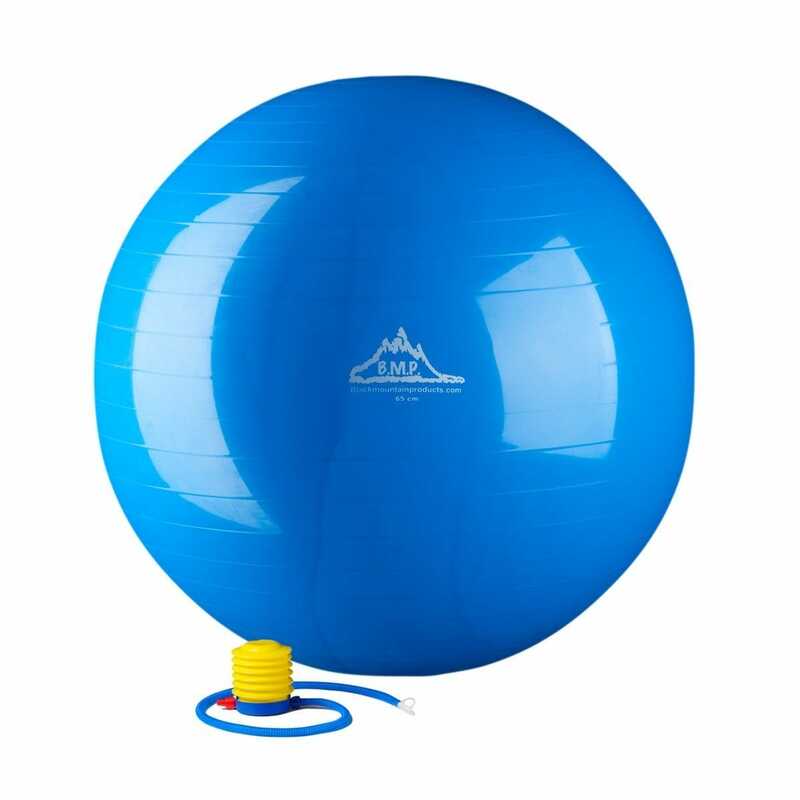 Balancing on a ball instead of sitting in a molded chair forces you to make constant small adjustments to your posture, eliminating the soreness and fatigue that even the best chairs can cause. This is especially true of the core muscles in your abdomen; you’ll be sore for a week or two after using a ball for the first time, but after that you’ll find that it’s much easier to adopt a proper sitting posture with your shoulders over your hips. Sizing a ball for both your frame and your desk can be difficult. I use an 85-centimeter (diameter) ball for my home office, but my adjustable desk is higher than most standard ones. Those of average height or shorter will be able to find a ball that fits them fairly easily, but especially tall readers may struggle to find a ball that allows them to comfortably use a PC. There’s an alternative that offers some of the posture benefits of an exercise ball while adding a little extra height and some conventional office respectability: this chair-shaped holder. It also offers some more standard back support, if you need it. More premium options offer cloth covers and weighted centers to keep the balls from rolling away. These backless stools operates on a similar principle to a balance ball, but with a more conventional chair-style seat. The base uses a curved pad to keep the user moving around, but it’s anchored to a single spot, unlike the rolling motion of the ball. It’s a lot smaller and easier to tuck away, too—a possible bonus if your office space is limited. Thanks to the smaller footprint, these stools work better on tile floors than carpet, so you might need to pair them with a chair mat if your office has the latter. There are quite a lot of similar designs on the market (many of which are essentially barstools without the wobbly base), but we like the Active Learning Stool from Learniture. The central column features a pneumatic cylinder raising and lowering mechanism, just like a standard office chair, allowing it to adapt to a variety of user and desk heights. The Buoy Turnstone is a more stylish (and more expensive) alternative. 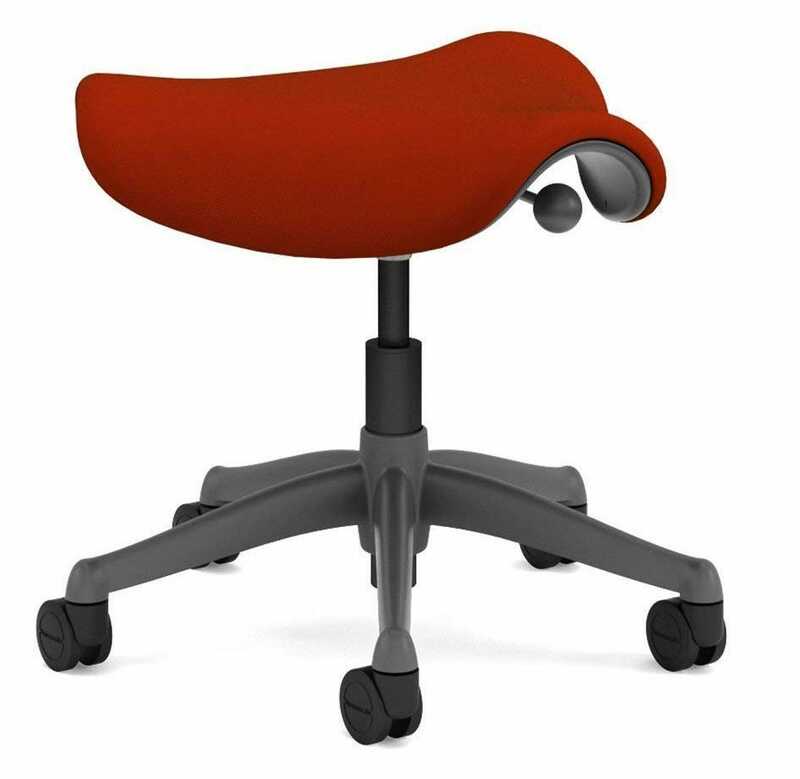 Moving closer to a conventional office chair, the Humanscale Saddle Seat is essentially a stool with a modified seat that’s designed to allow your legs to hang in a more loose, natural position. As the name implies, it mimics the position and motion of a bicycle or horse saddle. The conventional stiff column and casters don’t allow for the full range of motion that the options above do, but it still allows for a more natural seated position while subtle curves in the seat encourage good back posture. The Saddle Seat comes with an optional footrest ring, handy for retail work or standing desks, and if the adjustable height isn’t enough for you there are extra-tall cylinders available. The standard desk model is rather pricey starting at around $300, with caster options for carpet or tile. As opposed to the more subtle adjustments to a standard sitting position, a “kneeling chair” is somewhat extreme. It distributes the user’s weight between the buttocks and the knees and upper shins, significantly adjusting the angle of the spine. 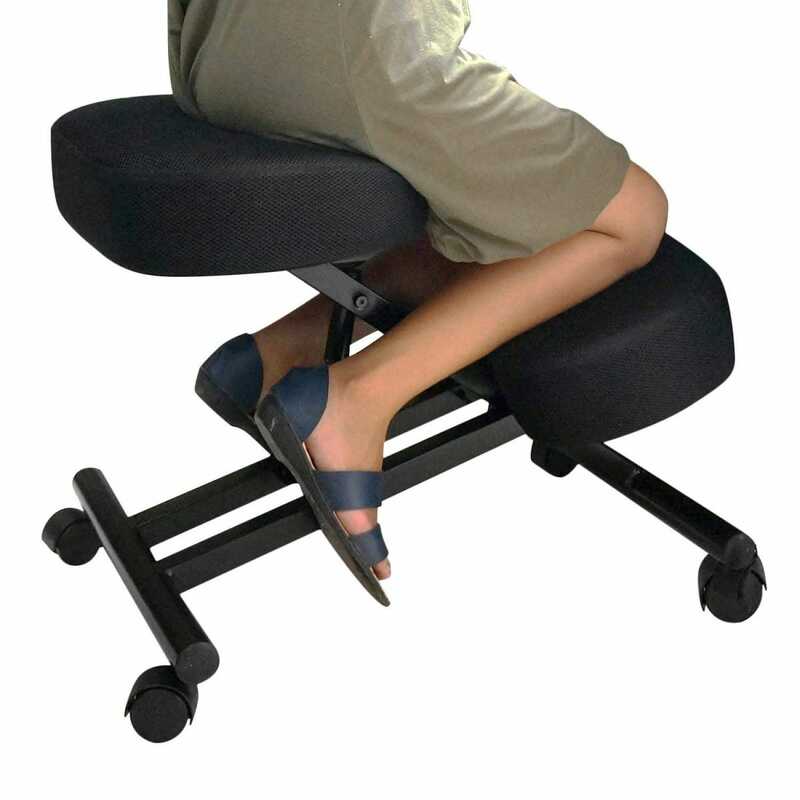 The idea is to literally force you to sit up straight while working at your desk. This is one of the more radical departures from a conventional chair and requires quite a bit of adjustment—it’s not really practical unless there’s something about an office chair that keeps you in constant discomfort. There are dozens of varieties of kneeling chairs on the market now, but the Sleekform model offers generous padding in both the seat and the kneepad, along with standard rolling casters and an adjustable angle from 21 to 28 inches, which should cover all but the tallest or shortest users. It’s also pretty economical at only $70, which is particularly useful if you’re not sure you’ll like the adjustment. You’re probably aware of treadmill desks, which offer walking and light running for users of a standing desk. 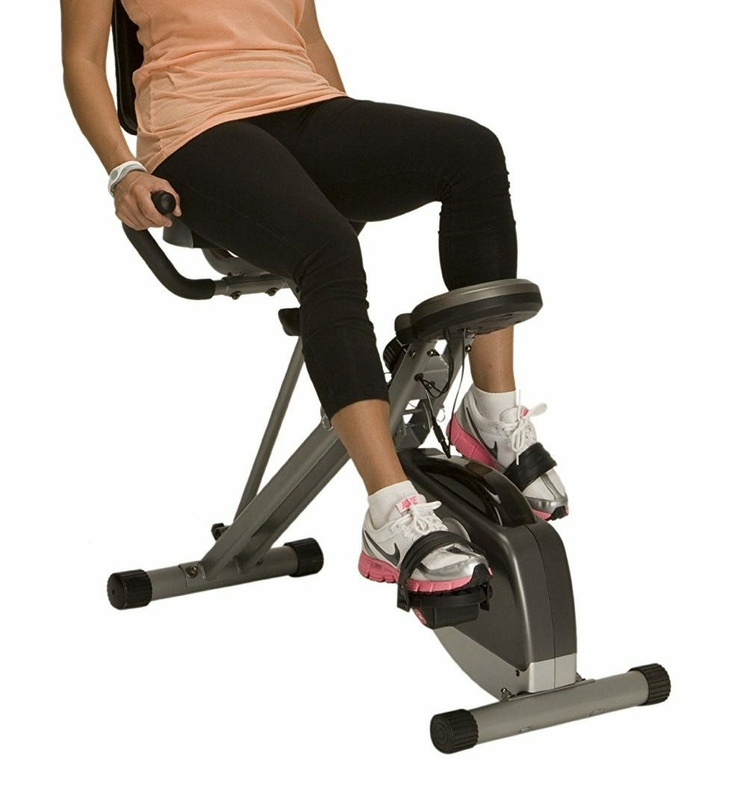 It’s a great option for light exercise while working, but if you prefer a seated position, you have some options too. In addition to purpose-built (and expensive) cycling desks, you can find a few recumbent bikes that sit low enough to slide underneath a regular desk and allow you to pedal underneath, without the usual handles and control cluster. You’ll have to carefully choose your model—a full gym-quality bike is out of the question unless you’re ready to custom-build a desk—but an inexpensive magnetic- or fan-resistance recumbent bike should do the trick. As an extra bonus, it’s much easier to move in and out than a treadmill. 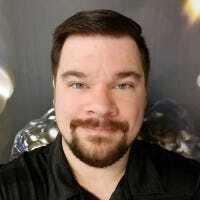 In my home office I use the Exerpeutic 400XL, which is compact enough to easily slide under my desk and folds away when I’m standing or sitting. But any model that uses a recumbent position and a low control cluster should work. Those with especially limited space options can use a foot-only magnetic resistance pedal like the DeskCycle with a standard chair. Note that, because the posture is intended for exercising rather than long-term sitting, a recumbent bike shouldn’t be used as a full-time replacement for a chair or one of the alternatives above.